There is a lot of information to process when deciding on becoming a paid caregiver for one of your family members. It’s no easy decision to make. There are three main criteria that you need to consider before deciding. 1. Will My Loved One be More Comfortable Being Cared for by Someone They Know? Many times people can be more comfortable being cared for by a person that they know. For example, it can be easier to accept help with grooming and bathing when you are more familiar with the person, as a family member would be. On the other hand, some people are more embarrassed to accept help from those that they know. It can be patronizing and make someone feel like they have lost their independence. This can be especially true when help comes from someone they used to take care of. This is true of most parent child relationships. This is why it’s vital to understand the person you are potentially caring for before deciding to become the caregiver yourself. 2. Am I Capable of Devoting the Proper Amount of Time and Energy? Some people are not ready to devote their time to being a caregiver. It is not an easy task by any means. But, it can be very rewarding. And when it comes to becoming a caregiver for a parent, it can feel like you are taking the time to care for them as they cared for you. But, as to not add unnecessary strain to any parent/child or family member relationship, you need to make sure you are ready to devote your time to the tasks ahead. This new idea of becoming a caregiver may be entirely different from the line of work you are currently in or intended to be a part of. You have to be ready for that change. It may require an entirely different set of skills than you are used to using. 3. Does This Work for the Family? There are many family dynamics that will change if you decide to become a caregiver for your parent. One may be the way in which you provide for your family. It’s not common for any family to fully be able to give up day time jobs to care for a parent without some compensation. While many children or family members would be ready and willing to devote their time to take care of their loved ones, it may not be possible. But, that is why it’s important to understand how becoming a paid caregiver for a parent works. 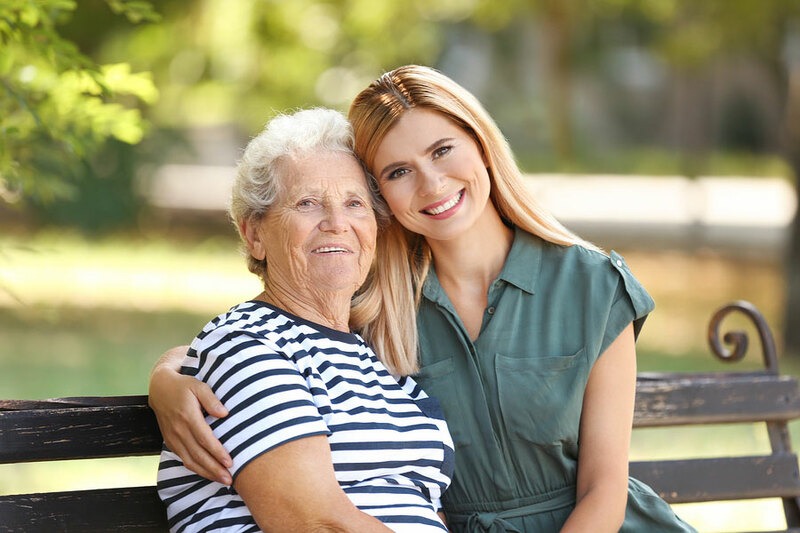 It’s necessary to understand the requirements when becoming a part of a caregiver agency so that you can formally care for an elderly family member. So How Do I Become a Caregiver for an Elderly Family Member? This answer is different with different situations. Homecare Powered by AUAF has its own steps and processes including mandatory training. As the premier agency for in-home care in Chicago, we want to ensure that everyone we work with is taken care of. Take a look at the process and steps to becoming a caregiver with AUAF. What Are My Options if I Decide I Cannot be a Personal Caregiver for My Parent? Not everyone can or is meant to be a caregiver. If you and your family ultimately decide that you can’t become a caregiver, you have options. At Homecare Powered by AUAF we have trained caregivers available and ready to meet the caregiving needs of your parent or loved one. Rest assured that after 25 years of service in the Chicagoland area, Homecare Powered by AUAF understands exactly how to train our caregivers to meet the needs of our elderly community.